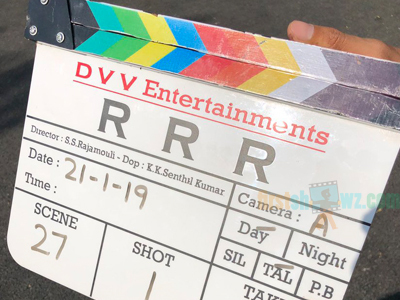 After wrapping up the intense first schedule in 2018 end, the much awaited second schedule of RRR movie featuring NTR and Ram Charan commenced, and some key episodes of the film will be shot in a giant set which has been elected in Hyderabad. More details on the RRR second schedule are to be revealed. NTR and Ram Charan have partaken in the first schedule shoot where an intense fight sequence was canned in a set in the outskirts of Hyderabad. Rajamouli is wielding the megaphone for this mega budget movie while DVV Danayya is bankrolling RRR under the banner of DVV Entertainments. The makers are yet to announce the leading ladies and other supporting cast of the film. MM Keeravani is the music composer. Stay glued to this space for more interesting updates.